Memorial held for 16 slain soldiers who fell in defense of northern Jerusalem. Historian: They created today’s Jerusalem. The city of Jerusalem looks like it does today because of the pioneers who lived – and died – to make it what it is, historian Yossi Shpiner told Arutz Sheva. On Tuesday afternoon a memorial will be held for 16 young soldiers who were killed by an Arab mob in 1948 in northern Jerusalem. The fallen soldiers are not widely commemorated today, although a road in the neighborhood of Pisgat Zev, near where they fell, is named Hashishaesar (The Sixteen) in their honor. The 16 soldiers who will be remembered Tuesday belonged to a pre-state military group. The story of their deaths began with a group of 19 young fighters who were sent on a rare offensive mission that involved an attack on a vehicle traveling from Ramallah to Latrun, Shpiner explained. They spotted the vehicle and fired on it, but did not succeed in forcing it to a stop at the designated point. With the sun beginning to rise the fighters decided to return to Atarot, roughly six kilometers (four miles) away. As they walked back, he said, they were slowly surrounded by Arab men from nearby villages. Three of the soldiers suggested that they turn aside and run directly to Atarot rather than walking along a bypass road as their commander had planned. They were concerned that the planned path would take them through the Arab village of Rafat. The commander refused and continued walking. The three who had suggested the alternate route decided to leave and take their own path back. When they reached Atarot they reported that the rest of the force may have been attacked. However, it was too late. The 16 soldiers who had walked through Rafat had been attacked by a mob and killed and their bodies desecrated. British soldiers arrived at the scene and took the mutilated bodies to Ramallah, Shpiner said. From there they were returned to Jerusalem and buried in the Sanhedia cemetery. 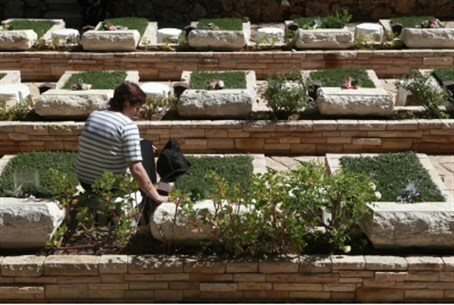 Their bodies were later moved to the Har Herzl military cemetery. The slayings did not have a major impact on the Jewish village of Atarot, “which in any case was isolated and besieged,” Shpiner noted. Much of northern Jerusalem fell to Jordan in the War of Independence. Israel subsequently gained control of the area in the Six Day War.